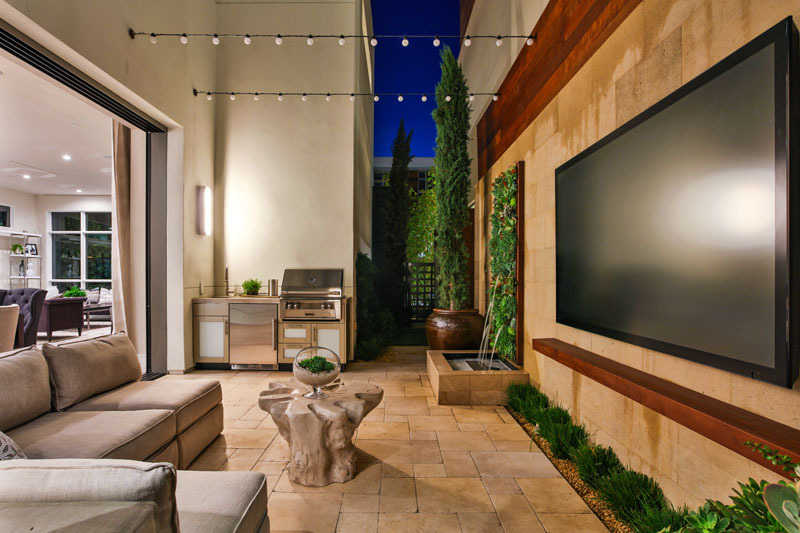 Photography by Hilton & Hyland. 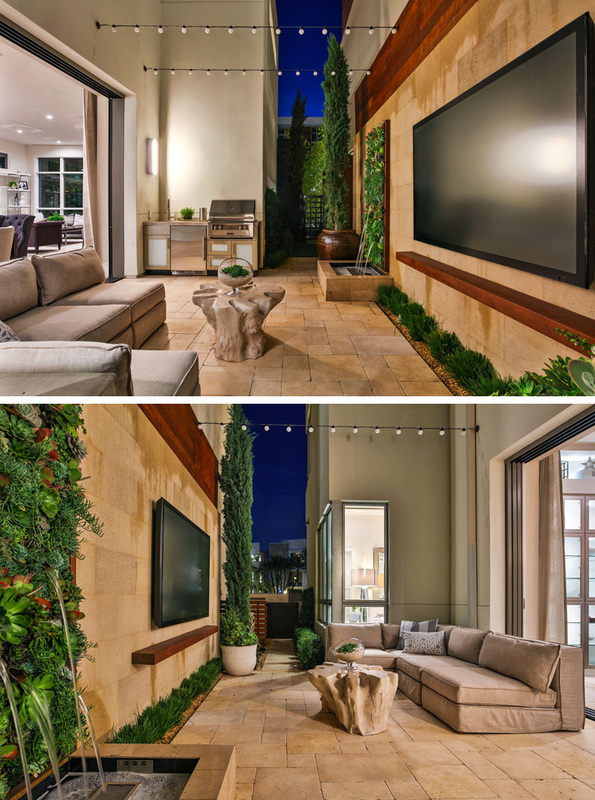 An indoor/outdoor entertaining space has been created just off the living and dining areas of this Jewel-Playa Vista home, designed by Robert Hidey for the luxury development from Playa Vista and Hilton & Hyland. 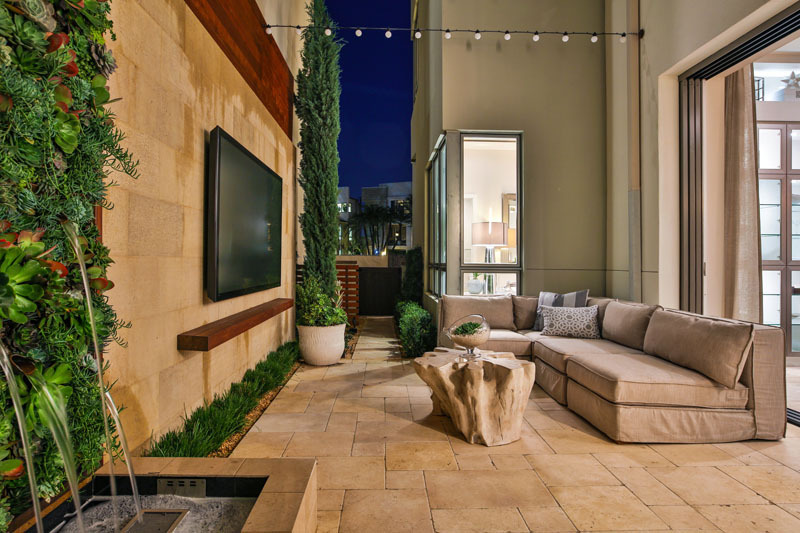 While the narrow space is tight it still manages to comfortably fit a barbecue, a large sofa, a water feature, and a wall mounted TV, creating the perfect spot to lounge while enjoying a warm Los Angeles night.